It has always been assumed that it is a matter of when, not if, Apple would expand the iPhone beyond the confines of AT&T’s network, but we all kind of assumed that Verizon would be the first post-AT&T carrier. In fact, rumors about the iPhone going to Verizon have been circulating for literally years. In a surprising twist, it now seems like T-Mobile is the new front-runner to carry the iPhone when its contract with AT&T ends – or maybe even sooner. Apple Insider is citing a report from a Kaufman Bros. analyst Shaw Wu, who is says that T-Mobile – not Verizon- will host the iPhone next, and that it makes a better fit for the phone in terms of technology. Wu noted that T-Mobile’s 3G service supports the 1700 MHz and 2100 MHz frequencies, compared to AT&T’s 850 MHz and 1900 MHz frequencies. 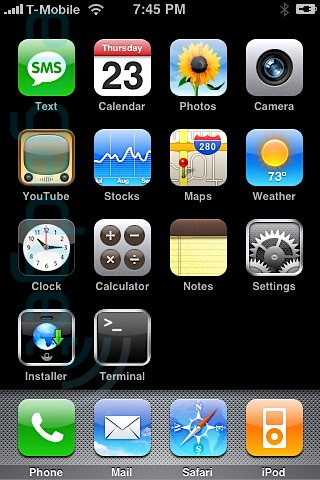 Both the iPhone 4 and the iPhone 3GS support 3G at 2100 MHz, which would make it easier to adapt to T-Mobile than to Sprint or Verizon. Most analysts believe that Android’s growth is due in no small part to the lack of competition from Apple outside of AT&T. With Android phones currently outselling the iPhone, Apple needs to expand onto other carriers to compete. Apple has an exclusive contract with AT&T until 2012, but there are ways out of it that Apple might consider using as Android continues to gain ground. Wu expects an announcement of a new iPhone carrier to come as early as this fall or early next year. All T-Mobile Phones Will Be Free on June 19?